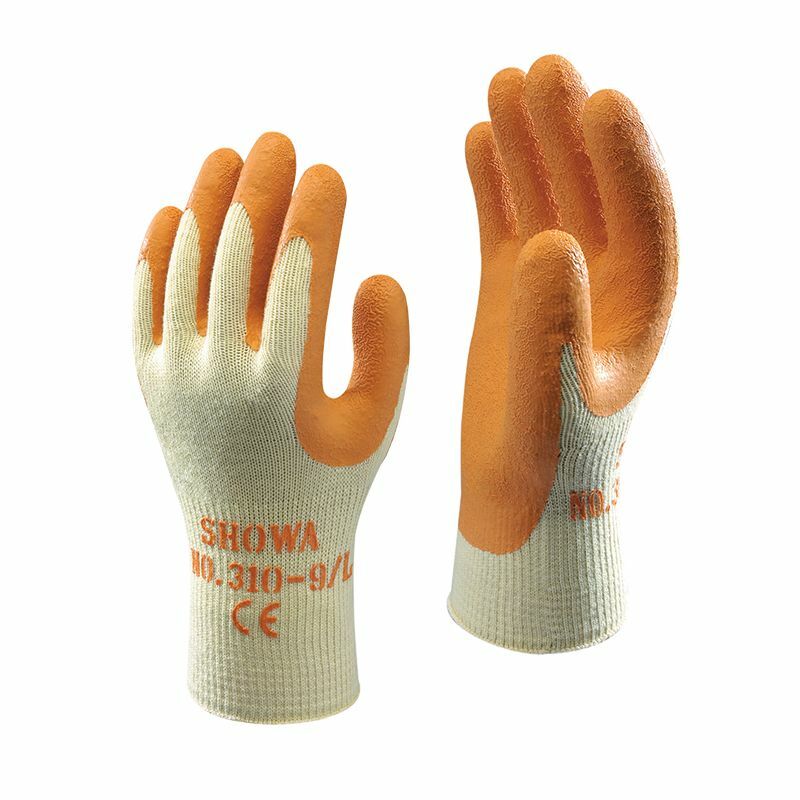 The Showa 310 Grip Gloves are a balanced, robust builders' grip glove combining dexterity with excellent grip. Ideal for an array of heavy duty manual handling tasks, the Showa 310 Grip Gloves feature a breathable back of hand to ensure comfort even during extended periods of use. The Showa 310 Grip Gloves feature a seamless cotton/polyester lining which is flexible and non irritating. This material protects the hand from mechanical hazards such as splinters, impact and iron filings. The seamless liner prevents irritation and the back of the glove is well ventilated, thus minimising hand perspiration. The cotton/nylon liner is combined with a latex coated palm that offers excellent grip to both dry and moist items, is waterproof and protects against weak acids, alcohols and detergents. The latex-coated palm also achieves protection against viruses and bacteria and is resistant to abrasion and tearing. The Showa 310 Grip Gloves have been designed to leave the knuckles free, allowing flexibility in the hand whilst maintaining its protection. The gloves are held in place with elasticated cuffs. Orange - ideally suited for use on building sites, highway maintenance, masonry, quarry work, floor tiling, roofing etc. Green - ideally suited for forestry, horticulture, gardening, landscaping, pruning etc. 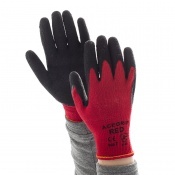 Please note that these gloves are poorly resistant to oil, grease and organic solvents. 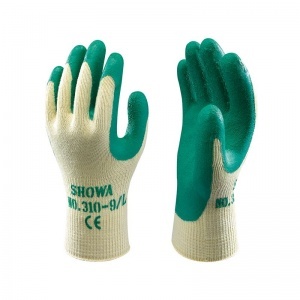 The Showa 310 Grip Gloves are available in four different sizes. For details, please see the table below. 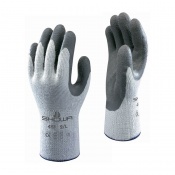 Please find the conformity statements for these gloves by clicking the PDF links below. 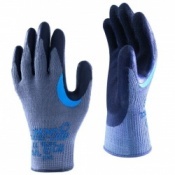 I have bought these gloves for a number of years now, they give good service and are very tough, my husband won't use any other type for outside work.